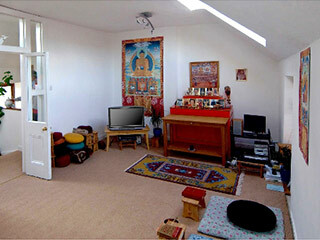 Welcome to Rigpa Athlone – The centre was established in 2003. We are situated in the heart of the Left Bank area of Athlone close to the River Shannon and Castle. We run a program of classes and courses on meditation throughout the year. They are open to people of all ages and all walks of life. “Meditation is the greatest gift you can give yourself” The Tibetan Book of Living and Dying. Led by experienced instructors, this evening offers an introduction to meditation and an opportunity to practice together in a group. We will also explore the wonderful practice of Loving Kindness meditation. This is a very simple yet powerful practice that connects us with our good heart and basic goodness. This practice enables us to love ourselves and others more fully. At times we will also look at some important subjects from the Buddhist wisdom tradition that can really help us cope much better in our daily lives. These topics include such things as impermanence and interdependence, contentment and our own fundamental goodness. We will also learn how to bring the benefits of these practices into everyday life. 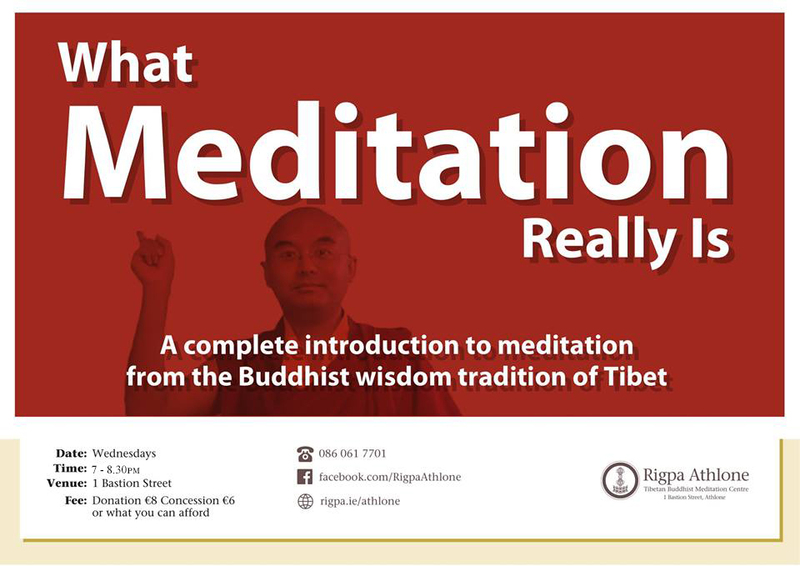 Open to complete beginners and those who already practice meditation. Rigpa Athlone is part of the registered charity Rigpa Ireland CHY 19478. Our centre activities are run solely by volunteers.